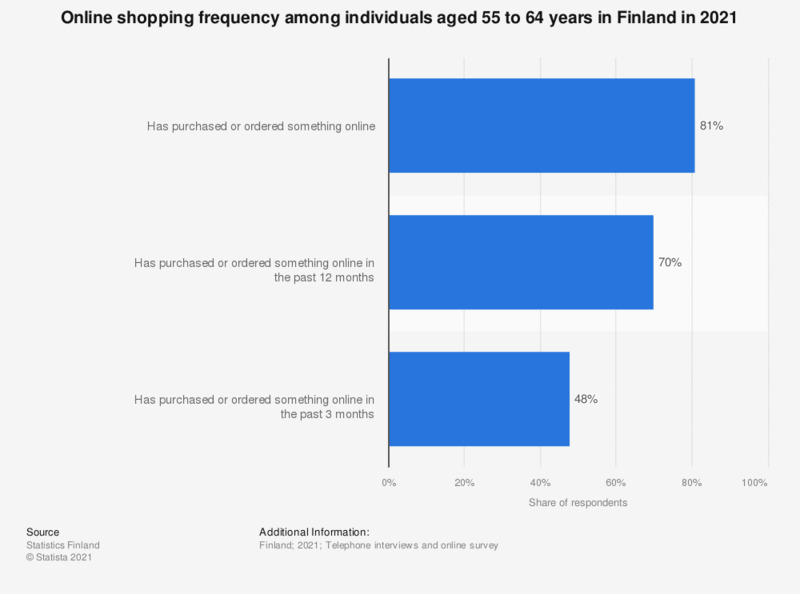 This statistic shows the online shopping frequency among 55 to 64-year-olds in Finland in 2017. 68 percent of the population had purchased or ordered something online at some point. 39 percent had shopped online within the past three months.